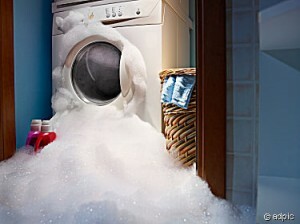 When your broken washing machine is causing you a problem, Advanced Appliance Care are the best local company to use. Whether there’s water leaking all over, it’s making an annoying rattling noise, or your washing machine has decided to not finish its cycle, the expert engineers have the knowledge in order to repair your washing machine and get it running efficiently again. Advanced Appliance Care are able to fix your broken washing machine quickly, and this affordable company has more than 10 years of experience in washing machine and appliance repair. Covering the Hampshire, Dorset and the South coast of England areas, they are perfectly placed to serve you. The appliance engineers realise that washing machine breakdowns occur at the most inconvenient times, so will schedule in washing machine repair to suit you. You can get your washing machine, dishwasher, tumble dryer or other appliances fixed promptly and if it is beyond repair they will recommend a new model to you as quickly as possible. Advanced Appliance Care will repair broken washing machines the same day if required, or next day at the latest to make sure you are not left without this important piece of equipment. Alternatively, book an engineer on-line now.